Sahabat Anak is a local Indonesian non-profit organisation that aims to improve the welfare of Jakarta’s marginalised street children. 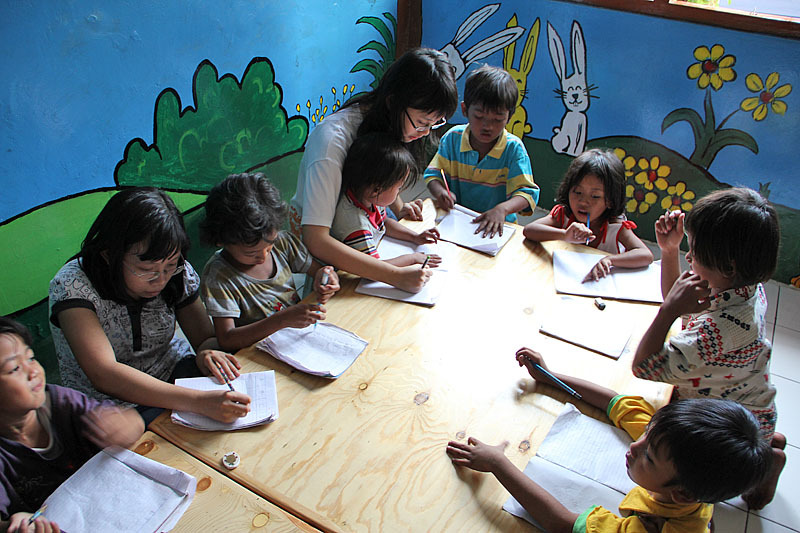 Sahabat Anak believes that each child is a precious being created in the image of God. We aim to involve as many members of the community as possible to care for street children by being their friends. We serve all children regardless of religion, race, ethnicity or gender. Sahabat Anak began in 1997 with the first ever Street Children’s Jamboree; this would later become known as the Sahabat Anak Jamboree. Benny Lumy was the coordinator and organised this event with a committee consisting of young volunteers from various universities in Jabodetabek. The Jamboree has become an annual event held over two days and one night. Each year the Jamboree commemorates the National Children’s Day (July 23) by connecting street children with those who will care for them. The founders of Sahabat Anak recognised that education is an essential need for this generation of street children living in Jakarta. Sahabat Anak helps children access education through: the Sahabat Anak tutorial programs; the Children’s Activity Centre for street teens; a kindergarten for street toddlers; a transit house for street children; and by raising funds for scholarships. Education is an indispensable element in breaking the poverty cycle. It creates opportunities for children to elevate their economic status and helps them form stronger characters. Sahabat Anak supports and promotes the rights of children as stated in the UN Convention on the Rights of the Child. Apart from six full time staff, Sahabat Anak is entirely run by volunteers who are students, graduates and professionals. These volunteers are all committed to the same cause; to love and care for Jakarta’s street children.